It’s easy to get worried about the future sometimes. Climate change, an unstable economy, terrorist groups, government spying on its citizens, the combined impact of all this can really get you down, especially if you’re an avid consumer of cable news. In the grand scheme of human history, though, we’ve actually got it pretty good right now, especially in the increasingly irrelevantly-named “developed world”. In the “developing world”, said development is occurring at a staggering pace, especially in the fields of infant mortality, tech acceptance, access to services, etc. We now live longer, eat better, kill each other less, have fewer babies and have more access to information than at any other point in human history. 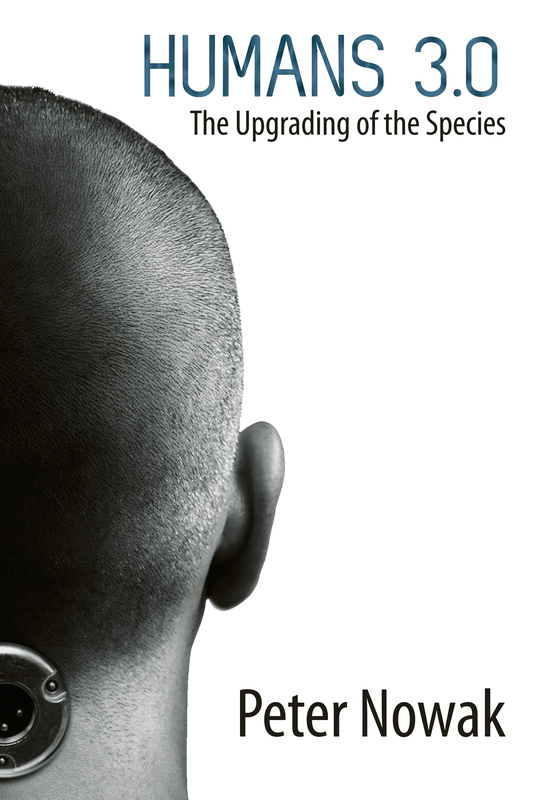 Peter Nowak’s Humans 3.0: The Upgrading of the Species is an excellent wrap-up of where Homo sapiens sapiens sits at this very moment. In taking the temperature of the planet’s inhabitants, he comes to the conclusion that to people of only a few centuries ago, we would appear as gods (or perhaps vampires) with our advancements in longevity, economics, health, knowledge and culture. As we now find ourselves in the Anthropocene epoch, the period in the Earth’s history in which humanity is the biggest determinant of the planet’s future, Nowak posits that we’ve reached the third level of human evolution: the first being cave dwellers and hunter gatherers, the second being pre-Industrial revolution. With this subject matter, which is undoubtedly interesting on its face but could be a little dry in the wrong hands, Nowak finds a sweet spot between the (often surprising) facts and figures. In a smart move, Nowak tempers his examination of humanity’s advances with pop culture references, knowing winks at well-loved properties like the X-Men, Battlestar Galactica, Star Trek, Minecraft, Interview with the Vampire, and others. One particularly inspired example uses The Joker’s experiment with the two boats from The Dark Knight, itself an example of the Prisoner’s Dilemma, and extrapolates it across the planet. Essentially, as humanity becomes more connected across national, racial, religious and ethnic borders, living conditions for everyone will become better all around as our differences fall by the wayside. It’s a very appealing notion, and one that I hope comes to pass. I came into this book thinking it’d be a little bit different from what I got, a misconception perhaps brought about by the vaguely cyberpunk image used on the book’s cover. I thought that this might be an examination of transhumanism, of what will happen with the Singularity comes, for instance, or when we make more advancements in nanotechnology. As it turns out, though, what we do have in Humans 3.0 is a great summation of what it’ll take to make those futuristic notions happen, and how our current course will hopefully lead to better health, happiness and prosperity for everyone across the globe. Nowak has done an excellent job here, collating the data, talking to futurist luminaries and making a highly readable account of our science fiction present. Next PostFollowup Questions: An Interview with Robert Repino, author of Mort(e)!